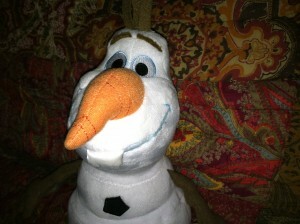 My oldest son Evan loves all things Disney including the movie Frozen and a snowman named Olaf. He has been begging me to watch the popular Frozen movie and I have been so busy with my healthy chocolate business. Today we finally were able to sit down and enjoy the movie at home on Blu-Ray. My son has been asking me if I want to build a snowman for weeks and I had no idea what in the world he was talking about. I watched the movie and fell in love with Olaf the snowman. Now I finally get why he kept asking me if I wanted to build a snowman. And, why he just had to have the Disney Olaf plush. Actually the words of the song are “Do you wanna build a snowman”. This song is literally stuck in my head and I can’t get it out. Almost everyone has heard the song “Let It Go” from the movie soundtrack of Frozen. Even if you did not watch the movie Frozen, the song has been so popular it was hard for anyone not to hear it. It has been all over facebook, twitter, Google + and in Youtube videos. I have seen a parody of “Let It Go”, even teachers singing it in a video .It is so popular but for some reason that is not the song stuck in my head. No, the song stuck in my head is about a snowman. 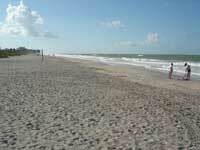 Considering I live in Florida, it is not likely I will be building a snowman anytime soon. So, I guess I am left with this song and my sons Disney Olaf plush. So if you are looking for a fun movie to watch with the kids or grandkids, “Frozen” might be just what you are looking for. Just don’t be surprised if you have a song stuck in your head called “Do you wanna build a snowman”. 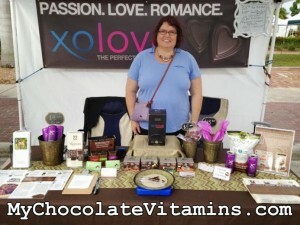 I am Lynette Henk, XO dark chocolate consultant. I share the cold pressed healthy dark chocolate that is high in antioxidants and polyphenols. Find out more about the healthiest chocolate I know of on the planet. Visit my site at MyChocolateVitamins.com or call me at 941-216-5727 with any questions or to order. I have a special wholesale buy 2, get 1 free deal available so now is the time to get the best deal. NextHow Healthy Is Your Dark Chocolate: How It’s Processed Matters!